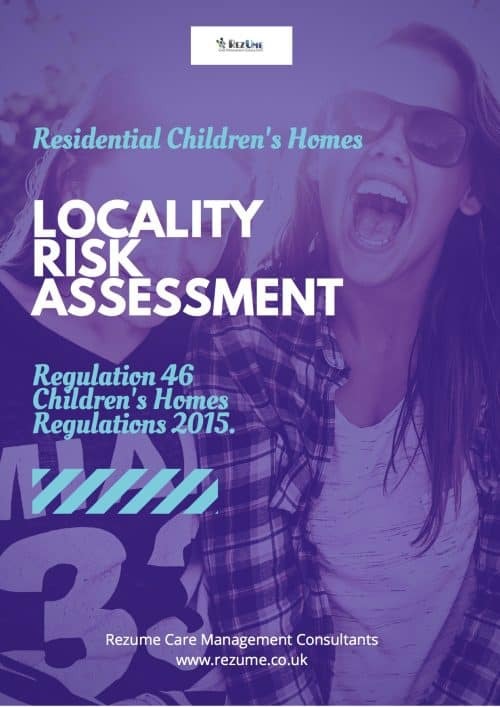 Ensure your Annual Statutory Locality Risk Assessment is up to date and young people are effectively safeguarded. This template is fully prompted with example text and includes links to the relevant departments and data that you need to consider when undertaking this Annual Assessment. How safe are your young people from risks in your area including Child Sexual Exploitation. Find out and update your required annual Regulation 46 location risk assessment today. Includes FREE judgement framework quick guide and Children's Homes Quality Standards Wall Chart.